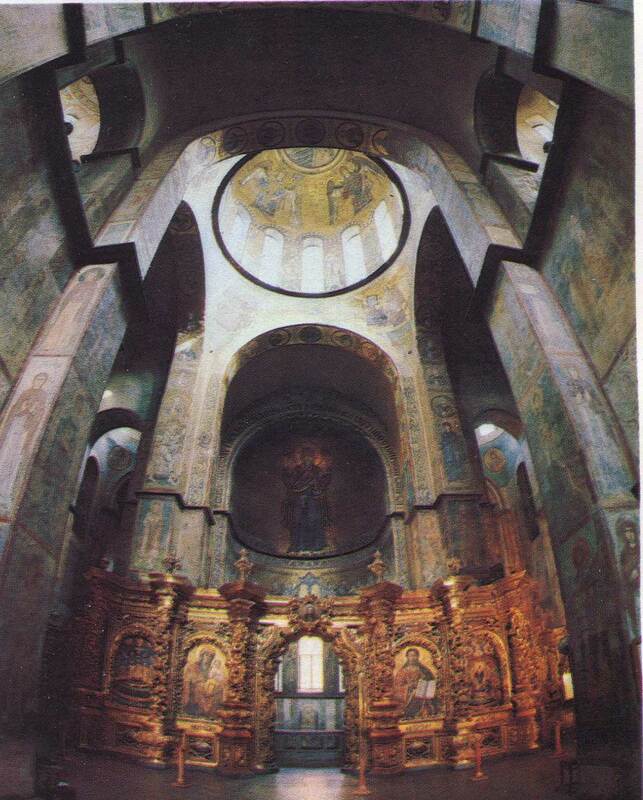 Culture | The interior of St. Sophia Cathedral. In the vault of the main altar is placed a huge figure of the praying Virgin – Orans. She stands out among the paintings of the cathedral grandeur and monumentality richness of colors. This well-preserved mosaic – the original XI century. 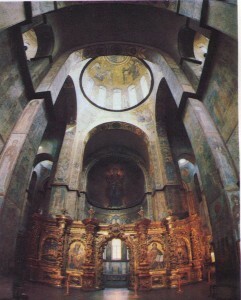 The interior of St. Sophia Cathedral. In the vault of the main altar is placed a huge figure of the praying Virgin – Orans. She stands out among the paintings of the cathedral grandeur and monumentality richness of colors. This well-preserved mosaic – the original XI century.